For his leadership in randomized non-pharma clinical trials, Chairmanship of the Gynecologic Cancer Intergroup (GCIG), founding the ‘State-of-the-Art” workshops in Manchester and developing the Cervical Cancer Research Network (CCRN). Henry Kitchener graduated in Medicine at Glasgow University, qualifying in 1975, and went on to train in Obstetrics and Gynaecology. He completed his higher degree in the MRC Virology Unit where he studied the viral aetiology of cervical cancer. Following a Clinical lectureship in the University of Singapore, he returned to Glasgow to undertake subspecialty training in Gynaecological Oncology which he completed in 1988. He then moved to Aberdeen as Consultant and Senior Lecturer. In 1996 he was appointed to a newly established Chair in Gynaecological Oncology in the University of Manchester, remaining in that post until retiring in 2016, when he received the title of Professor Emeritus. In Manchester, he developed and led a comprehensive multidisciplinary clinical service in Gynaecological Oncology which in collaboration with Gordon Jayson has evolved into a leading academic centre. A key element has been the establishment of academic training in Gynaecological Oncology through a programme of clinical research fellowships followed by subspecialist training within clinical lectureships. This model has established Manchester as a destination of choice for high flyers wishing to become academic Gynaecological Oncologists, essential for the long-term health of our speciality. Professor Kitchener’s research has been principally in the field of clinical trials in gynaecological surgery and cervical cancer prevention. In the early 1990’s he led an early pioneering trial of hysteroscopic surgery, which resulted in a significant reduction in hysterectomy rates. A major area of his work has been in cervical screening, most notably the use of primary HPV testing in the ARTISTIC trial, but also trials of automated cytology, HPV triage for low grade cytology, and HPV as test of cure. These have informed the development of screening protocols in the UK and internationally. He has also been involved in international trials of prophylactic vaccination, and led trials of novel treatment for VIN, including pioneering studies of therapeutic vaccination, photodynamic therapy and the use of preadjuvant imiquomod. In endometrial cancer, the landmark ASTEC trial demonstrated that lymphadenectomy did not improve overall survival, and the ongoing STATEC trial has been designed to demonstrate whether lymph node status can effectively select women for adjuvant therapy. Amongst a number of leadership roles, he was responsible for a 1996 report to the Royal College of Obstetrics and Gynaecology recommending the establishment of Gynaecological Cancer Centres across the UK in order to ensure specialised care for all women within the NHS. This had been fully implemented within 10 years. 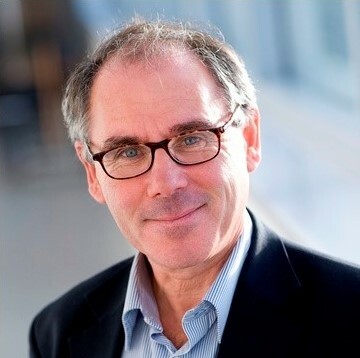 He has been Chair of the Advisory Committee for Cervical Screening in England since 2005, including a national pilot of HPV primary screening since 2013. He is a former President of the British Society of Colposcopy and Cervical Pathology. He has chaired CRUK’s CTAAC, which is the main awarding body for Cancer trials in the UK. In the University of Manchester he has held the post of Director of the Institute of Cancer Sciences. He is a former Chair of the Gynaecological Cancer InterGroup and the initial chair of the Cervical Cancer Research Network. Professor Kitchener was elected to the UK Academy of Medical Sciences in 2007.